Russian airlines carried a total of 88.55 million passengers in 2016, according to statistics from the country’s Federal Air Transport Agency. This shows a total fall of 3.8% as compared to 2015, despite rapid observed growth in November and December (15% and 20.3%, respectively). Nevertheless, the Russian aviation authorities are convinced that 2017 will bring better numbers for the industry. Domestic flights carried 55 million passengers by the end of last year, according to the Minister of Transport, Maksim Solokov. This is an increase of 4.6% year-on-year, which corresponds to a fall of 16.5% in the international sector, to approximately 33 million. Last year was a very complicated year for the Russian air passenger market for a few reasons. For one thing, the country witnessed a continuation of the crisis that began in 2015 and brought about devaluation of the currency, which pressured Russians to travel by air more rarely. The second reason is that Russian carriers were forbidden to operate flights to some of the most popular designations, which includes to Ukraine, Egypt, and Turkey. The fall in passenger traffic also comes as a result of the exit of Russia’s former second-largest carrier, Transaero, in October 2015. The process of redistribution of Transaero’s former passengers to other operators took almost the entire year. The largest operators, conversely, finished the year with a marked increase in passenger traffic. Aeroflot, the long-time leader on the Russian market, transported a total of 28.97 million passengers, an increase of 11% year-on-year. S7 Airlines took second place, with 9.52 million, a 16.1% increase. Rossiya Airlines took third place in the ranking, with 8.09 million passengers, demonstrating the largest growth among the top-five Russian carriers in 2016–70.5%. This re-branded airline was formed in the beginning of 2016 from Aeroflot’s subsidiaries: St Petersburg Rossiya, OrenAir and Donavia. However, the merged company served fewer passengers than three former carriers a year before. UTair came in fourth, with 6.64 million passengers (a 20% growth), and Ural Airlines took fifth, with 6.46 million passengers, an 18.7% increase. Another Aeroflot’s subsidiariy, Russia’s only low fare airline, Pobeda carried 4.3 million passengers in 2016, a growth of 38.7% year-on-year. This takes it to sixth place. UTair expects that the Russian market will run into more difficulties in 2017. In particular, the carrier expects traffic on domestic routes to decrease. Until recently, the number of passengers on domestic flights increased what partially compensate the slump of international flights. 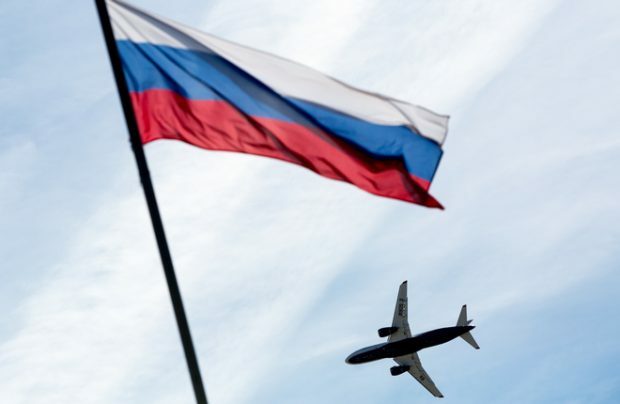 The Federal Air Transport Agency, on the other hand, believes 2017 will bring a good growth dynamic to the Russian market on both international and domestic sectors, citing the re-opened air service with Turkey and expected lift of the ban for flights to Egypt.